When I was a kid, I loved Cherry Coke – sort of. Even then, I actually found it a little cloying and overwhelming. I preferred vanilla coke, but only came across it at state fairs once a year. Then a series of home experiments brought me to Cranberry Coke. You see, cranberry juice is just what cola needs. 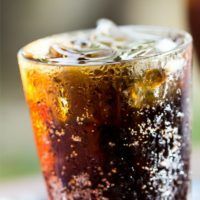 Its tartness contrasts nicely with the sweetness of the cola – even if you use a diet cola, which you totally can. So in my recipe, you add some cranberry juice to your cola… and then a touch of vanilla extract. How much you use depends on how much you want to taste the vanilla. It rounds out the flavor and makes the whole thing taste richer. Simple, right? But it’s surprisingly delicious, and not at all sticky sweet like cherry cola can be. 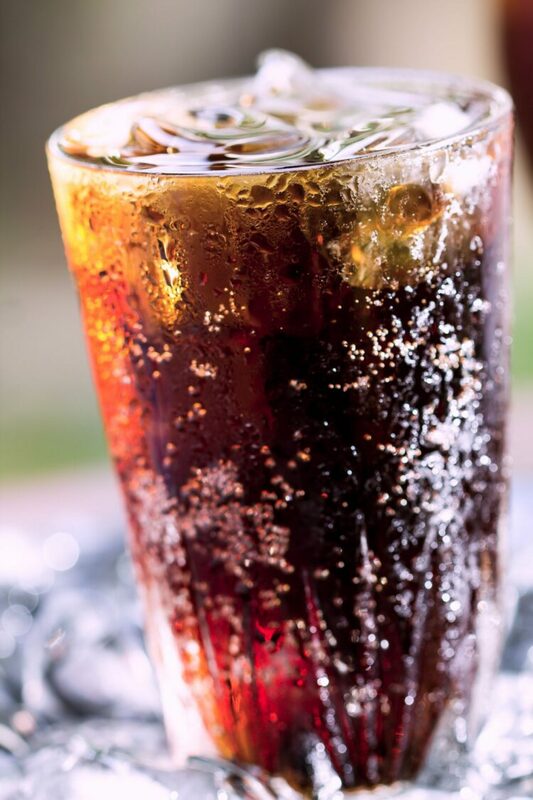 Even if you use regular cola and sweetened cranberry juice, it’s not as sweet as cola with a thick syrup added. But you can also make this drink seriously low carb. That’s right – there’s a version of this drink that has very little sugar to it and still tastes absolutely delicious. You can use a diet cola with a diet cranberry juice – that’s a very low sugar cranberry juice sweetened with Splenda. The total carbs will be very low if you make your drink with these ingredients. Even if you love seriously sweet drinks like a cherry coke, this drink makes a wonderful change of pace! It’s also a really nice non-alcoholic drink to serve at barbecues and other warm-weather gatherings. This easy beverage is so delicious - a great change from cherry cola. It's very simple to make and adds no corn syrup to the drink. It's great for summertime and barbecues. Fill a glass 3/4 of the way with diet cola. Fill the rest with cranberry juice. Add 2-3 drops of vanilla extract, or to taste. I just tried this, thanks to your suggestion. Yum! Yay, Heather! I’m glad you liked it! I’m going to try to Coke Zero with cranberry and maybe a twist of pineapple. I’ll use the syrup like the restaurants and carbonate it in a keg for a day or two then tap and enjoy! Hope the blend works out. What do you guys think about adding pineapple to it? I tried it tonight before knowing about your recipe and searched for this because I sought a kindred taste. Yay! I’m not alone! I used the no-sugar cranberry from TJ’s with Diet Coke and it was very good. I will give your recipe credit when I Pin it. CHEERS!